È nata nell’estate del 2009 con l’intento di creare un luogo pubblico di incontro. Siamo partiti dalle basi di un dibattito in atto da anni tra chi gravita intorno alla casa editrice minimum fax (o che in qualche modo la considera uno dei propri interlocutori) con la speranza di andare al di là dell’occasione editoriale, cercando di coinvolgere un numero sempre più ampio di lettori. Oggi minima&moralia è un blog di approfondimento culturale indipendente. minimua&moralia is an online cultural magazine which aims to make available and share with the reader, articles , contributions and reflections as interesting as possible on literature, film, art, theater, politics, society. It was born in the summer of 2009 with the intention of creating a public meeting place. We started with the basics of a debate going on for years between those who gravitates around the Minimum Fax publishing house (or that somehow he considers one of its partners ) with the hope of going beyond the publishing, trying to involve an increasing number of readers. 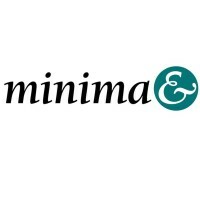 Now minima&moralia is an independent cultural study blog. And readers who follow and support minima&moralia have made in a short time one of the most consulted Italian cultural blog of the Network. Knowing whether it is a blog or a magazine or more , the question is not disputed by his own components .